Heat oven to 375°F. In medium bowl, stir cookie mix, butter and egg until soft dough forms. Shape dough into 32 (1-inch) balls. Place 1 inch apart on ungreased cookie sheets. Bake 7 to 9 minutes or until edges are light golden brown. Cool 1 minute. Remove from cookie sheet to cooling racks. Cool completely, about 20 minutes. Decorate cookies as desired, using cookie icing and sprinkles. Store in airtight container. 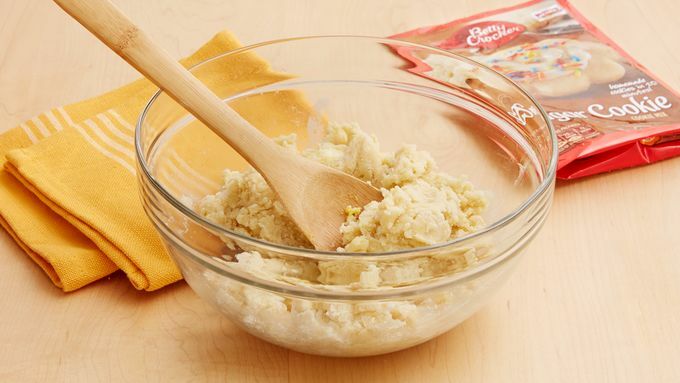 For larger cookies, shape dough into 24 (1 1/4-inch) balls. Bake 8 to 10 minutes or until edges are light golden brown. 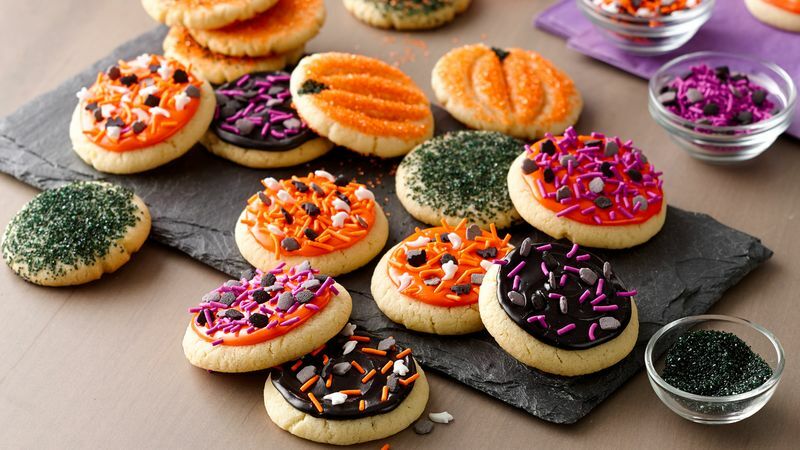 Design your own Halloween cookie using the black and orange cookie icing to make a pumpkin face or spider web.